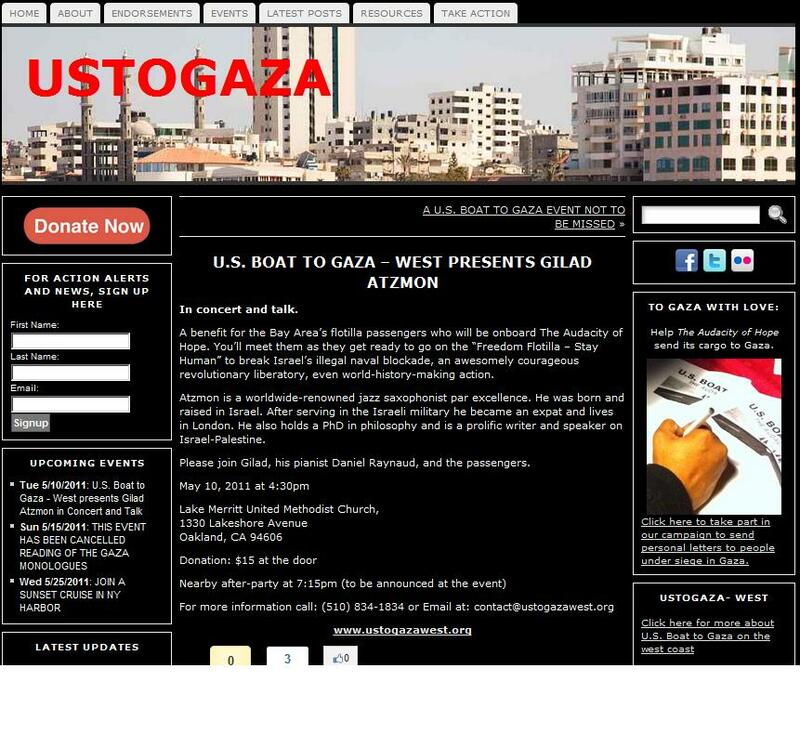 Gilad Atzmon And The US Boat To Gaza. Searching around I can see that they are advertising the event via their Twitter feed. It is also on their events page. It is a pity that this organisation is connected to the racist Gilad Atzmon. Read more at Mystical Politics. “Gilad Atzmon is using a notorious Holocaust denial website to advertise a speech and performance he is giving tonight at a Methodist church in Oakland, CA. (Read here.) The website, which is maintained by Michael Santomauro, publishes articles propounding what Santomauro euphemistically refers to as “historical revisionism” concerning Naziism and the Holocaust, as well as anti-Semitic and anti-Zionist articles, and promotional material for books with the same themes. A notice on the website indicates that Atzmon himself sent the promotional notice to the Santomauro website for publication there. Feck Off Friends of David Irving. Every now and again, normally after I have posted something on David Irving my blog gets a boost, an unwelcome leap in posters. These posters, like Michael Santomauro, are either neo-Nazis, Hitler lovers or their mates, and wrongly they assume that they should be allowed to spout their racialist filth all and every where. They never trouble to read my comment policy or understand the fact that I positively loath these Jew hating fascist scum. Feck off friends of David Irving, you are not welcome here.